Serverside group‘s ‘AllAboutMe’ is an application which enables banking customers to customize their card design directly into facebook. So wondering how big the opportunity is for banks in a world about to be conquered by the diigtal wallet? 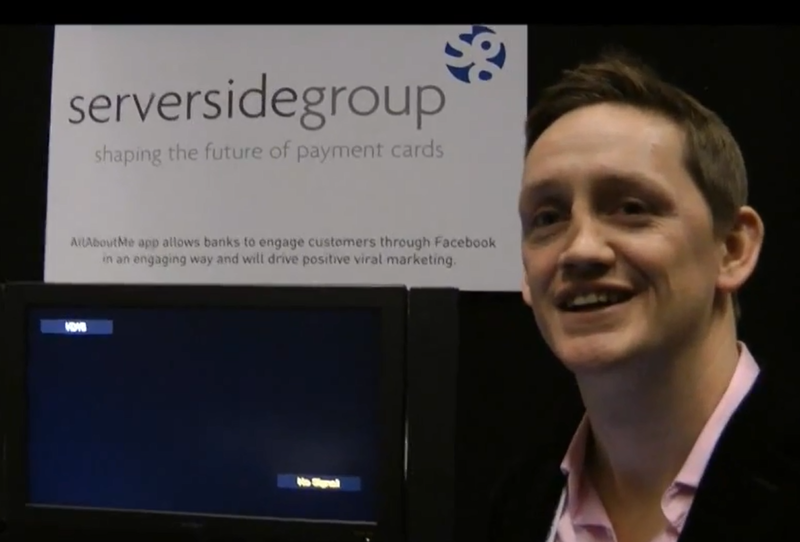 A couple of weeks ago, I covered Finovate Europe 2012 live on the Visible Banking blog. At the end of another long day packed with innovative digital services and platforms, I managed to record a short interview with another one of the demoing companies, the serverside group. They demoed the facebook edition of their ‘AllAboutMe’ application. I invite you to watch my short video with Connor Kinnear – Head of Marketing.